COHOLAN, Patricia Frances January 16, 1952- February 9, 2019 With very broken hearts we announce the passing of Patti on Saturday, February 9, 2019. Patti fought her battle with cancer with courage, bravery and dignity right to the very end. She was the adored and much loved mom of Shelly Petrie (Dave); Mother of Michael Petrie. Beloved Nana to Olivia, Zachary and Ryan Sibley, and Luke Day. Precious sister of Lynn Colynuck (Al), Beth Trottier (Ed), Kim Coholan (Chris), Paul Coholan (Jayne), Mark Coholan (Debbie), and Michael Coholan. Predeceased by her Mother Marie Marcotte, and brothers Peter and John. Very Special Aunt to Chris Trottier (Sapphire), Lee Ann Marcotte, and Wanda Roberts (Craig). A very heartfelt thank you to VON nurse Victor, who always went above and beyond to care for mom, also to Julia Rock and Dr. Samantha Winemaker and Dr. S. Michaels. 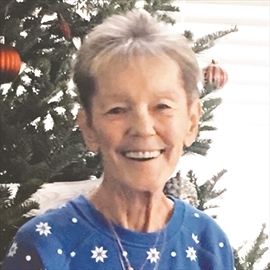 A Celebration of Life Open House will be held at her daughter's home on Saturday, February 23, 2019 from 1 p.m. to 5 p.m., 223 Annabelle St., Hamilton, ON. In lieu of flowers donations to the Dr. Bob Kemp Hospice would be appreciate. "Be at Peace My Sunshine"